Food and art have always gone together just like bangers and mash or bread and butter. The earliest known examples of creativity are found on cave walls in the south of France depicting animals we would have hunted and eaten. The tradition of food in art has continued over the 30,000 odd years since then spanning all cultures and recorded history. Egyptians had drawings of food on the walls of pyramids believing that it would nourish those gone to the afterlife. 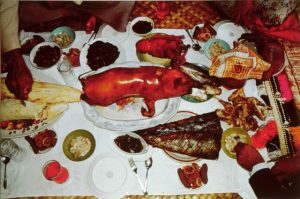 Depictions of food and feasts communicate ideas about almost everything from society and politics to religion and folklore – food is loaded with symbolism. The still life is a classic subject throughout art history. From a piece of fruit to a fishmongers stall, the still life has at times been used as a way to brag or boast and could be painted in extreme detail to emphasise this. The same work could also provide historical information about gastronomic traditions, how food was prepared and preserved, revealing methods animals and plants were hunted and cultivated in ways that written history could not. The still life is also one of the best ways for an artist to show off their skills. It’s no surprise that the Sarjeant art collection holds a diverse range of works related to food. I picked out these three, I was lucky enough to tuck them into the new temporary collection store at Sarjeant on the Quay for this stage of the redevelopment project. 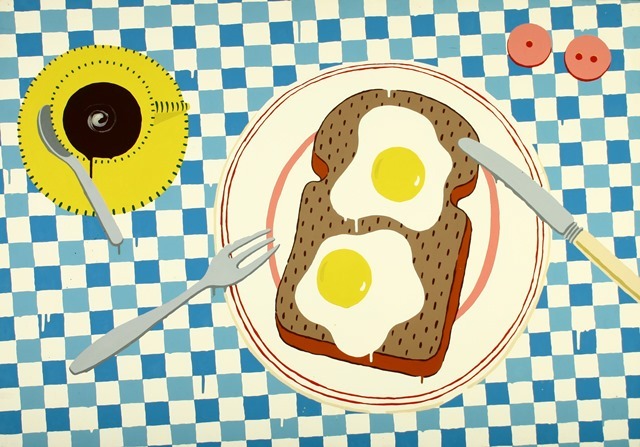 Two eggs on toast and a black coffee make New Zealand Breakfast By Paul Hartigan a great place to start the day. This work comes from the early part of his over 40 year career. Hartigan is best known for his work with neon but has worked in a variety of media often referencing pop-culture. The next work is A Healthy Appetite by Walter Dendy Sadler. The English artist painted people mostly in everyday or domestic settings, food being a common theme. 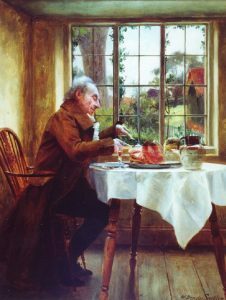 Other paintings by him feature roast beef, afternoon tea and home brewing. The last work is Easter Feast for Pastors of the Free Wesleyan Church Fanga, Nuku alofa, Tonga Tongatapu by Glenn Jowitt. 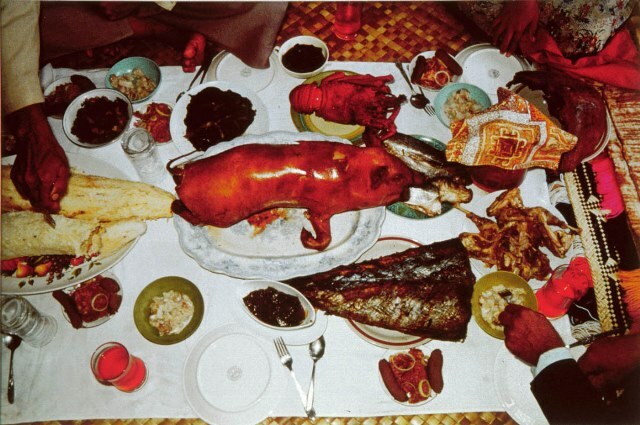 Taken in 1982, it is an epic feast to envy. Jowitt’s photography often captured Pacific people and their culture – when he first started this series of work he said it was “like an adventure where you popped your head through a door and there were new friends, new food, new ways of behaving”.